A small walk in the city will make you realise that each street has a significant cultural impact. The city overflows with history but you will discover that soon enough thanks to this trail that will guide you through the city. First, drop your luggage in a hotel in Dublin city, we recommend you The Davenport hotel near Merrion Square. The trail will take you to the National Museum of Ireland, this former army barracks known as Collin Barracks takes its name from Michael Collins, first Commander-in-Chief of the Irish Free State Army. Welcome to one of the most compelling sites of the Rising, this is the most famous jail of Ireland. Most of the revolutionaries were imprisoned here and some of them were even executed here, among them Patrick Pearse, Seán Heuston, Eamonn Ceannt, Sean McDiarmada and James Connolly. The Heuston Station is part of the recent history of Dublin, originally named Kingsbridge Station, it was renamed in 1966 after Seán Heuston a hero of 1916 Rising. The design of the station is striking with its series of Corinthian columns, an elegant mix of classical Greek art and architecture. Your journey will bring you to the Royal Hospital Kilmainham, during the Rising it provided the residence of the Commander and Chief of the British Army in Ireland. Today the RHK is home to the Irish Museum of modern art and fun summer concerts such as the Forbidden Fruit Festival. 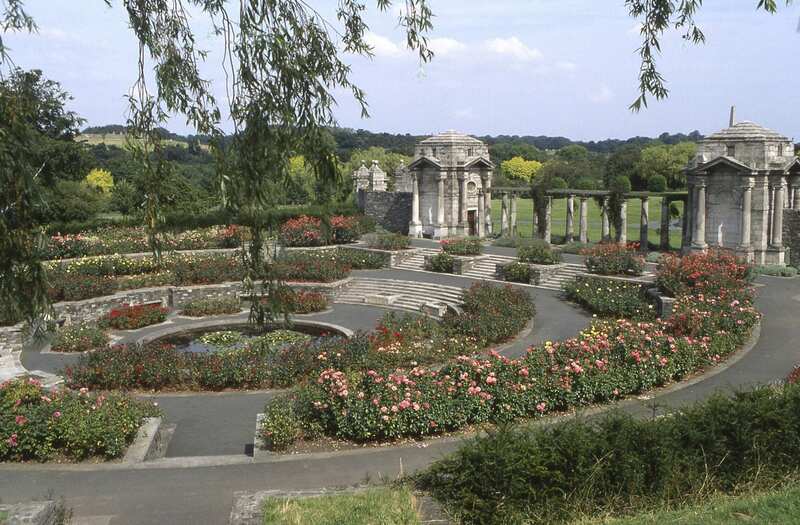 A little walk will take you to the National War Memorial Gardens, a place dedicated to the memory of the tens of thousands of Irish soldiers who gave their lives in the Great War of 1914-1918. These gardens are wonderful with beautiful sculptures and designs.